(A)musings: STAR WARS EPISODES 7 - 9 ANNOUNCED! - A Great Disturbance in the Force? For the original story and more specifics on the announcement, please see the Digital Spy article HERE. It’s rare for film industry announcements to completely blindside me in the way this particular story has done so. As an enormous fan of the Star Wars franchise, I’ve often pondered the possibility of another trilogy in the series, bolstered by inconsistent testimony that it was part of Lucas’s original outline back in the 70’s and the wealth of potential plot material that can be mined from the enormous ‘extended universe’ that has perpetuated through the countless post-Return of the Jedi comics, novels, videogames etc. Lucas himself has said on occasion that a particular fan-favourite storyline that dealt with the characters and stories after the ending of episode 6 would be the most suitable and likely candidate for an episode 7 onward adaptation, but alas it all seemed mere pipe dreams, and with Lucas’ recent announcement that he was retiring from filmmaking in a directorial capacity, the saga seemed destined to remain complete and final as it was. Shocked am I then, to say the least, that the elusive 'sequel trilogy' has not only been announced, but with Lucas no longer involved in their production whatsoever. The films are so personal to and synonymous with Lucas, even with the incomprehensibly vast array of merchandising and expansion they have gone through outside of the main man himself, that it seemed unfathomable he would hand over future development into another’s hands. The animated Clone Wars series, for instance, has gathered a legion of loyal fans and continues to go from strength to strength, and the sales of novella and other narrative-driven merchandise that continue the Star Wars experience outside of Lucas’s direct vision have turned it into a sprawling beast of it’s own, but the live action movies were always strictly under good old George’s tenure. Not only that, but despite the clunky narrative shortcomings and shoehorning of episodes 1 to 3 in particular, the saga seemed nonetheless resolutely complete as a six-part structure. The inclusion of the prequels shifted the focus of the series as a whole to not so much the adventures of Luke Skywalker as the overall ‘tragedy of Anakin Skywalker/Darth Vader’ as Lucas began labeling it but again, the neat resolution of events at the end of Return of the Jedi with the death of series antagonists Emperor Palpatine and Darth Vader brought the story full circle and seemed a natural finishing point for the tale of the Skywalkers. So, with all that being said, where is there to go with the universe and it’s characters (an issue I will likely address in greater detail in a future article)? Is this a decision motivated financially more-so than creatively, and should fans be shuddering at the notion of the House of Mouse being the ones now responsible for the continuation of their beloved franchise? Firstly, I feel compelled to quash the concerns and outrage at Disney being the ones who will be behind the new trilogy of films, beginning with episode 7 currently scheduled for release in 2015. Disney are the world’s largest entertainment conglomerate by a sizeable margin, and in truth they are responsible for and own far more of your most beloved television shows and films than you may realise. There is nothing indicated in these announcements to give any reason to think these new films will be remotely ‘Disney-fied’. 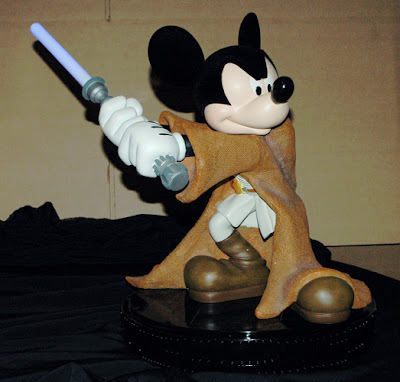 The core production company responsible for all of the Star Wars movies, LucasFilm LTD, will still be the ones in charge of putting these movies into production and getting them made, Disney merely now has a big slice of the Star Wars profit-pie. LucasFilm has also recently acquired a brilliantly credible president in the form of Kathleen Kennedy, long-time collaborator of both George Lucas and Steven Spielberg, and who has been responsible as producer for a long list of diverse and proven films including E.T., Munich, War Horse, Jurassic Park, Schindler’s List, Who Framed Roger Rabbit, the Indiana Jones movies (yes, including Kingdom of the Crystal Skull), Seabiscuit and upcoming Oscar-bait Lincoln. She’s a force to be reckoned with in the industry and having her at the helm of LucasFilm as it begins its operation under the Disney umbrella is an extremely encouraging sign. From the video released, she also seems genuinely invested in the Star Wars films being a keystone of LucasFilms' continuing existence, which is exactly as it should be. Disney have proven themselves incredibly adept at acquiring major studios, companies and talent within the industry whilst appreciating the timbre and nature of the output they produce. The number of production companies, studios and televisual output they own, even not apparent at surface value, is surprising. Directors such as Tim Burton, Sam Raimi and wunderkind Christopher Nolan have all produced recent movie hits and content under the Disney umbrella without their work being compromised or filtered as a result. Let’s also remember that Disney acquired Marvel Studios and were behind The Avengers/Avengers Assemble and I think everyone can agree that was a resounding success both commercially and artistically. The acquisition of LucasFilm here was a business industry transaction of a major corporation acquiring the properties and output of LucasFilm as a production company as a whole, not the attempt to weld Mickey Mouse ears onto Vader’s helmet that so many fans seemed to have prematurely labelled it as. These will be LucasFilm productions under Disney’s ownership, and not Disney Motion Picture Studios productions. The corporation has thus far done a great job of treating their acquisitions (not to mention their fanbases) with respect and diligence, and there’s no reason to think they won’t do the same for such a hugely important franchise as Star Wars. Turning the focus back to Lucas momentarily, it is also worth noting that many still blame the divisive nature of the prequel movies firmly on Lucas himself. It may seem blasphemous to some, but it is in many ways quite encouraging to know he is handing the reigns of the saga over to others and allowing other talented artisans and filmmakers to inherit his universe and it’s characters and hopefully find compelling new directions to take them down. The Empire Strikes Back, superbly crafted and directed by the late Irvin Kershner, is testimony that you don’t need uncle George pulling the creative strings to make compelling and effective movies with the universe and characters he introduced us to. Getting in new writers and directors who can iron out the clunky, convenience-laden and character-flat storytelling and pedestrian film-making of the prequels is the kind of jolt to the system and shot in the arm that could make the franchise relevant again. Just look at the Daniel Craig era James Bond films, or even to some extent Nolan’s Batman trilogy, as evidence of this. Someone who can honour the spirit, tone and essence of the original Star Wars movies whilst progressing the series forward is something that I simply could not envisage Lucas doing had he remained in charge of the franchise. 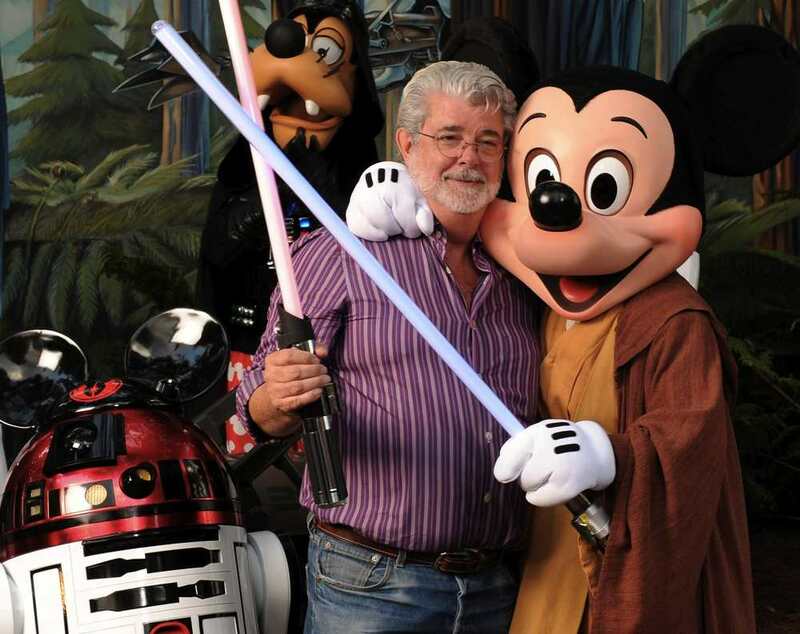 Again, at the risk of outraging the devouts, I have more confidence in LucasFilm under Kathleen Kennedy and the ownership of Disney producing a quality Star Wars trilogy than I would have had Lucas himself been announced at the helm. George himself seems to agree, and it is somewhat endearing to hear him speak of passing the franchise on so that it can continue to live on after him, and it being something he wished to do in his lifetime. 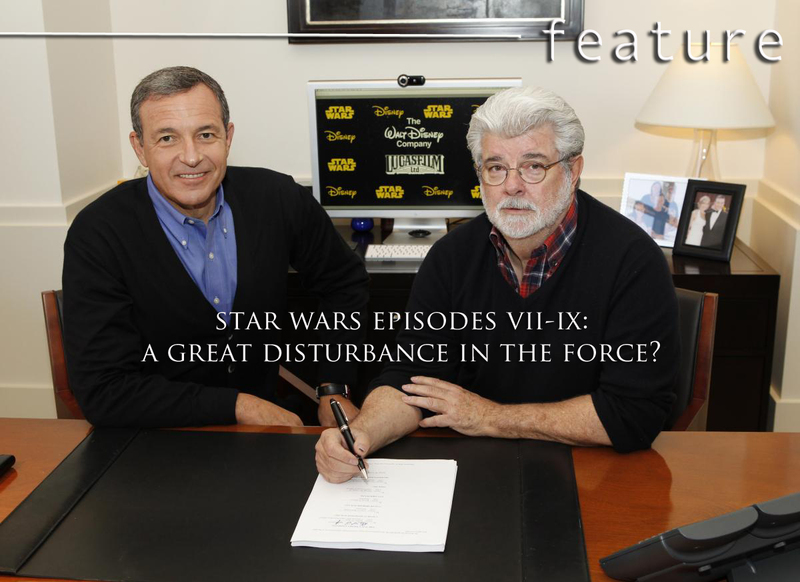 Of course this is the optimistic approach, and there is the possibility that the newly announced trilogy will be even greater misfires than The Phantom Menace, but given Disney’s recent track record with The Avengers particularly, their continuing successes as oversees of Pixar, and Kathleen Kennedy being the new head honcho at LucasFilm, I’m optimistic that this will be a project of passion for whoever inherits it, and hopefully the talent assembled will be along the lines of Joss Whedon, his cast and crew, and we can invest some promise, faith and anticipation in the new stewards of that galaxy far, far away. AGREE/DISAGREE? Enraged/Overjoyed? Leave your comments, opinions and discussion in the comments box below! With the announcement of Disney buying LucasFilm what better time to watch some classic movies? Visit LOVEFiLM today and join the 30 day free trial. You can rent the Star Wars original and prequel trilogies, the various animated series or even the Indiana Jones saga on Blu-Ray and DVD and stream movies online! 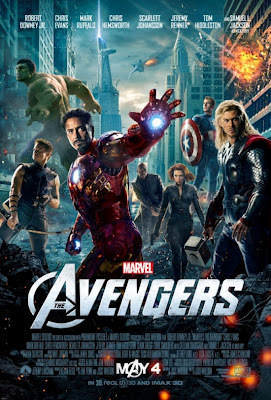 Actually didnt think about the avengers and films like that. Think everyone just thinks of cartoons when its disney so you could be right. If disney arent making these films and just paying for them theres a chance they could actually be half decent. Just dont go for nolan or whedon or someone precdictable like that. I agree, I think people are getting confused between Disney owning LucasFilm and Disney Motion Picture Studios actually making these movies, which won't be the case. I can't imagine Christopher Nolan being willing to submit to a trilogy of Star Wars films or even one to be honest, I think there would be too many creative and studio-imposed barriers for him to invest in it fully, plus even if he did I can't imagine Nolan movies gelling all that well with the first 6 films, his work tends to be that tad more cerebral and complicated. I'm pumped! I hope they do the movies about TOR. There were too many references in episode 3 for there not to be movies about TOR. The Old Republic would certainly offer some great opportunities but I really can't see them going ahead with the numbered instalments and going back in time chronologically it just doesn't seem to make any sense. If that were the case I'd imagine they would abandon the numbering and make it a Star Wars spin off live action movie etc. The fact they're planning on continuing the numbered saga seems to indicate to me this is going to be a continuation of the stories of episodes 1-6 and some timeframe proceeding those. On that note, I just can't imagine a numbered Star Wars instalment that doesn't somehow feature the continuation of the Skywalker family/story.